Oh, Canada. Home to a police department that hands out “positive tickets” for good behavior, not a single weapon of mass destruction and... Justin Trudeau. For some Americans, the Great White North symbolizes greener grass, an attractive, theoretical escape for those in search of more affordable health care, a lower cost of living or a prescription for quelling feelings of despair post-election. Historically, when election season comes, Canada appears particularly Eden-like for some people in the United States. 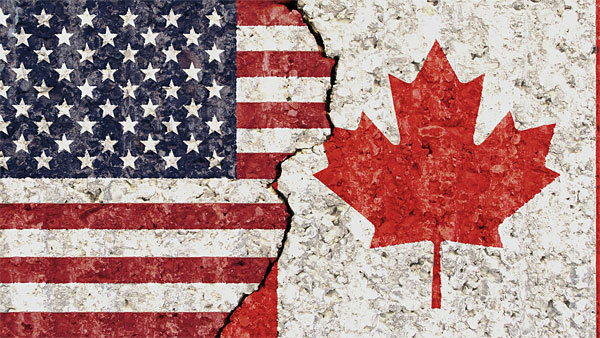 “Every election, there’s that chorus of people who insist they are moving to Canada if candidate so-and-so wins,” political reporter Danielle Kurtzleben wrote for NPR. In 2016, the threat to get the hell out felt more sincere than years prior; Snoop Dogg and Barbara Streisand, for example, were among the legion that said they’d leave if Trump were elected. And yet, few people followed through. According to statistics released by Canada’s immigration office, there was just a minuscule increase in applications for Canadian citizenship post-election. And Snoop and Streisand are still living stateside, respectively.